There are many people who enjoy wearing high heels. This type of shoe can enhance the appearance of the legs by making them look longer and thinner. Potential damage to the foot may be diminished if proper stretching exercises are frequently performed, thereby strengthening the foot. Many people may experience heel pain, and this may be a result of shortened calf muscles. There are many foot conditions that can gradually develop from wearing high heels. These may include ingrown toenails, bunions, or Morton’s neuroma, which is a form of nerve damage that occurs between the toes. If you would like additional information about how high heels can affect the feet, consulting with a podiatrist is recommended. High heels have a history of causing foot and ankle problems. If you have any concerns about your feet or ankles, contact Dr. Kevin Davis from Davis Foot & Ankle Centers. Our doctor can provide the care you need to keep you pain-free and on your feet. High heels are popular shoes among women because of their many styles and societal appeal. Despite this, high heels can still cause many health problems if worn too frequently. Which Parts of My Body Will Be Affected by High Heels? Back – They decrease the spine’s ability to absorb shock, which may lead to back pain. The vertebrae of the lower back may compress. What Kinds of Foot Problems Can Develop from Wearing High Heels? How Can I Still Wear High Heels and Maintain Foot Health? If you want to wear high heeled shoes, make sure that you are not wearing them every day, as this will help prevent long term physical problems. Try wearing thicker heels as opposed to stilettos to distribute weight more evenly across the feet. Always make sure you are wearing the proper shoes for the right occasion, such as sneakers for exercising. If you walk to work, try carrying your heels with you and changing into them once you arrive at work. Adding inserts to your heels can help cushion your feet and absorb shock. Full foot inserts or metatarsal pads are available. If you have any questions please feel free to contact one of our offices located in Springfield, Russellville, and White House, TN. We offer the newest diagnostic and treatment technologies for all your foot and ankle needs. There are many professions that require standing for hours, which unfortunately can put a heavy strain on the feet. Oftentimes, people who work on their feet begin to notice aches and pains associated with the stress their feet are under. Examples of common problems that arise from working on your feet are plantar fasciitis, bunions, Achilles tendonitis, swollen feet, and soreness. There are a few simple ways to reduce the risk of developing any of these issues. Wearing comfortable and supportive shoes is the most important step in keeping your feet healthy. Custom made orthotics could also be beneficial. Orthotics made for those who stand for long periods of time could help improve posture, relieve joint pain, and help alleviate other symptoms. Changing positions is also beneficial, because it helps shift the weight being put on the feet. If possible, walking around, standing in different positions, and stretching are easy ways to change position. If you would like more information on how to care for your feet, speak with your podiatrist. While working on the feet, it is important to take the proper care of them. For more information about working on your feet, contact Dr. Kevin Davis from Davis Foot & Ankle Centers. Our doctor will treat your foot and ankle needs. Blisters are a common annoyance caused by friction. They usually appear on the back of the ankle and are visible bubbles filled with fluid. The fluid inside of a blister varies. A blister can be filled with pus, blood, or serum. This condition causes itching, pain, or discomfort. Discomfort is usually unavoidable when the blister is located on the back of the ankle, because it will rub against any footwear. Blisters shouldn’t be popped because exposing the skin underneath could easily lead to an infection. If a blister does pop, then stay away from alcohol, hydrogen peroxide, and iodine. It is best to clean the skin with warm water and a gentle soap. After washing the area, apply antibiotic ointment and cover loosely with a clean bandage. There are situations when blisters should be drained, but it is best to let a professional drain the bubble. If you have an uncomfortable blister and would like to learn more about how to properly treat it, then it is suggested you consult with a podiatrist. Blisters are prone to making everyday activities extremely uncomfortable. If your feet are hurting, contact Dr. Kevin Davis of Davis Foot & Ankle Centers. Our doctor can provide the care you need to keep you pain-free and on your feet. Foot blisters develop as a result of constantly wearing tight or ill-fitting footwear. This happens due to the constant rubbing from the shoe, which can often lead to pain. A foot blister is a small fluid-filled pocket that forms on the upper-most layer of the skin. Blisters are filled with clear fluid and can lead to blood drainage or pus if the area becomes infected. Blisters on the feet are often the result of constant friction of skin and material, usually by shoe rubbing. Walking in sandals, boots, or shoes that don’t fit properly for long periods of time can result in a blister. Having consistent foot moisture and humidity can easily lead to blister formation. It is important to properly care for the affected area in order to prevent infection and ease the pain. Do not lance the blister and use a Band-Aid to provide pain relief. Also, be sure to keep your feet dry and wear proper fitting shoes. If you see blood or pus in a blister, seek assistance from a podiatrist. If you have any questions, please feel free to contact one of our offices located in Springfield, Russellville, and White House, TN. We offer the newest diagnostic and treatment technologies for all your foot care needs. Foot pain is a broad term that covers many different types of pain. The foot is a complex part of the body that is comprised of many bones, ligaments and muscles; therefore, pain can be felt in various parts of the feet. The degree of pain or discomfort felt can highly differ. Pain can present itself as throbbing, aching, stabbing, or mild tenderness. Understanding and learning about your foot pain is key in figuring out what the underlying issue is. Some of the most common foot conditions that cause pain are plantar fasciitis, tarsal tunnel syndrome, metatarsalgia, Morton's neuroma, and Achilles tendinitis. All of these conditions cause pain in different locations and result in different types of pain. If you are experiencing any foot pain, speak with a podiatrist who can properly diagnose and treat the ailment. Foot pain can be extremely painful and debilitating. If you have a foot pain, consult with Dr. Kevin Davis from Davis Foot & Ankle Centers. Our doctor will assess your condition and provide you with quality foot and ankle treatment. To figure out the cause of foot pain, podiatrists utilize several different methods. This can range from simple visual inspections and sensation tests to X-rays and MRI scans. Prior medical history, family medical history, and any recent physical traumatic events will all be taken into consideration for a proper diagnosis. Treatment depends upon the cause of the foot pain. Whether it is resting, staying off the foot, or having surgery; podiatrists have a number of treatment options available for foot pain. Research has shown the importance of wearing the correct running shoes that are appropriate for your style of running. Once the proper shoe size is determined, it may be beneficial to consider what type of running will be practiced. Trying shoes on later in the day when the feet are at their largest may help to ensure a proper fit. Additionally, the heel of the shoe should be solid, and this may help to provide stability to the feet and ankles. It may be beneficial to alternate between two pair of shoes, in addition to considering purchasing new shoes approximately five hundred miles. If you would like additional information about how to choose running shoes that are correct for you, please consult with a podiatrist who can properly guide you. You should always make sure your running shoes fit properly in order to avoid injury. For more information, contact Dr. Kevin Davis from Davis Foot & Ankle Centers. Our doctor can provide the care you need to keep you pain-free and on your feet. Improper shoe sizing can cause a myriad of problems for your feet. Shoes that don’t fit you properly can lead to muscular imbalances in your body, which can result in foot, knee, and hip injuries. Make sure you have a thumb’s width of wiggle room between the end of your longest toe and the front of the shoe. If you have any questions please feel free to contact our one of our offices located in Springfield, Russellville, and White House, TN. We offer the newest diagnostic and treatment technologies for all your foot and ankle needs. Research has shown the importance of taking care of your feet, and this is especially true if you are a diabetic patient. Many diabetic people have neuropathy, and this may cause a lack of feeling in the feet. Small cuts or bruises may go unnoticed as a result of this condition and may take longer to heal. Foot ulcers may affect up to twenty-five percent of diabetic patients, and it is important to properly take care of your feet. This can be accomplished by checking the feet daily, which may help you to notice any blisters, ingrown toenails, cuts or swelling that may exist. Additionally, the feet should be washed in lukewarm water on a daily basis, gently dried, and followed by using a good moisturizer. This may help to keep the skin soft, which may prevent dry skin. Wearing shoes that fit properly will help the overall health of the feet and choosing seamless socks may aid in preventing cuts in the skin. If you have diabetes, it is strongly suggested that you should seek the counsel of a podiatrist who can properly guide you in learning how to take care of diabetic feet. Diabetic foot care is important in preventing foot ailments such as ulcers. If you are suffering from diabetes or have any other concerns about your feet, contact Dr. Kevin Davis from Davis Foot & Ankle Centers. Our doctor can provide the care you need to keep you pain-free and on your feet. Diabetes affects millions of people every year. The condition can damage blood vessels in many parts of the body, especially the feet. Because of this, taking care of your feet is essential if you have diabetes, and having a podiatrist help monitor your foot health is highly recommended. Routinely inspect your feet for bruises or sores. Wear socks that fit your feet comfortably. Wear comfortable shoes that provide adequate support. Patients with diabetes should have their doctor monitor their blood levels, as blood sugar levels play such a huge role in diabetic care. Monitoring these levels on a regular basis is highly advised. It is always best to inform your healthcare professional of any concerns you may have regarding your feet, especially for diabetic patients. Early treatment and routine foot examinations are keys to maintaining proper health, especially because severe complications can arise if proper treatment is not applied. Stress fractures occur when the foot experiences continual micro-trauma. This is common in athletes who push themselves in order to improve their performance. Stress fractures are caused by accumulative micro damage and can lead to small or large breaks. The body is capable of healing micro damage before it accumulates, but if the overuse is too intense, then the foot does not have time to heal itself. Factors that increase the risk of stress fractures are high running mileage, training errors, low bone density, inappropriate footwear, and high ridged arches. The pain associated with stress fractures is usually gradual, but can also begin with sudden pain. Localized bony pain and tenderness are the most common signs of stress reactions or fractures. It is important to lower the level of impact on your foot if you start to experience symptoms, so your body can heal itself. If you think you may have a stress fracture or are showing early signs of one, then it is suggested you consult with a podiatrist to learn about treatment options. Stress fractures occur when there is a tiny crack within a bone. To learn more, contact Dr. Kevin Davis from Davis Foot & Ankle Centers. Our doctor can provide the care you need to keep you pain free and on your feet. Stress fractures are the result of repetitive force being placed on the bone. Since the lower leg and feet often carry most of the body’s weight, stress fractures are likely to occur in these areas. If you rush into a new exercise, you are more likely to develop a stress fracture since you are starting too much, too soon. Pain resulting from stress fractures may go unnoticed at first, however it may start to worsen over time. Gender – They are more commonly found in women compared to men. 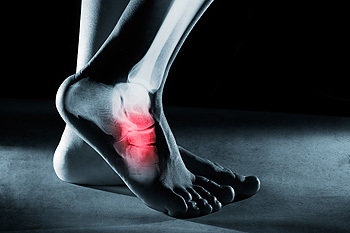 Foot Problems – People with unusual arches in their feet are more likely to develop stress fractures. Certain Sports – Dancers, gymnasts, tennis players, runners, and basketball players are more likely to develop stress fractures. Stress fractures do not always heal properly, so it is important that you seek help from a podiatrist if you suspect you may have one. Ignoring your stress fracture may cause it to worsen, and you may develop chronic pain as well as additional fractures. Cuboid syndrome is caused by partial dislocation of bones in the middle of the foot. Someone with cuboid syndrome usually feels pain around the middle of the foot or at the base of their toes. There are some symptoms of this condition that, when coupled together, can help to identify cuboid syndrome. Pain on the lateral side of the foot or the side of the little toe is an initial indicator. Pain also tends to worsen when weight is placed on the foot, so activities like walking or jumping may trigger discomfort. It is also possible for the foot to swell and for there to be a reduced range of motion in the foot or ankle. If you suffer from any of these symptoms and think you might have cuboid syndrome, it is highly recommended that you speak with a podiatrist to begin treatment. Cuboid syndrome, also known as cuboid subluxation, occurs when the joints and ligaments near the cuboid bone in the foot become torn. If you have cuboid syndrome, consult with Dr. Kevin Davis from Davis Foot & Ankle Centers. Our doctor will assess your condition and provide you with quality foot and ankle treatment. 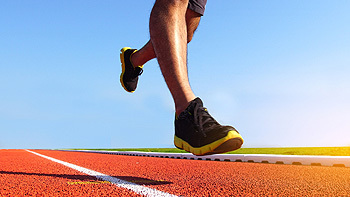 When the feet are properly stretched, running and jumping activities may be easier and safer to perform. Painful injuries may be avoided if correct foot and ankle stretches are frequently practiced, and the overall health of the body may be positively affected. An effective foot stretch that is known as toe curling is effectively done by raising one foot and curling the toes, then repeating on the other foot. Some people find it beneficial to stretch one toe at a time, and this is referred to as toe yoga. Lifting and lowering the heels will help to strengthen the Achilles tendon, in addition to making the joints in the ankle stronger. If you would like more information on how to perform foot stretches, it is suggested to consult with a podiatrist who can properly assist you. Stretching the feet is a great way to prevent injuries. If you have any concerns with your feet consult with Dr. Kevin Davis from Davis Foot & Ankle Centers. Our doctor will assess your condition and provide you with quality foot and ankle treatment. Being the backbone of the body, the feet carry your entire weight and can easily become overexerted, causing cramps and pain. As with any body part, stretching your feet can serve many benefits. From increasing flexibility to even providing some pain relief, be sure to give your feet a stretch from time to time. This is especially important for athletes or anyone performing aerobic exercises, but anyone experiencing foot pain or is on their feet constantly should also engage in this practice. Individuals who tend to their feet by regular stretching every day should be able to minimize foot pain and prevent new problems from arising. Flat feet, also known as fallen arches, is a condition that occurs when the arch of the foot is lower than usual. Normally, the foot has an arch in the middle, so the heel and ball of the foot are primarily what touches the ground. For those with flat feet, the arch may have never fully developed, or over time might have flattened downward. Children’s feet develop differently, and some children never develop an arch. This is nothing to be too concerned about and usually results in little to no complications. On the other end of the spectrum, some flat feet develop over time as a result of wear and tear. Adults who have injured their foot or ankle, have rheumatoid arthritis, have diabetes, or are obese are at a higher risk for their arch to drop. While this condition usually does not cause serious health issues, if you think you have flat feet or may be developing it, then it is recommended you speak with a podiatrist to gain further knowledge. Flatfoot is a condition many people suffer from. If you have flat feet, contact Dr. Kevin Davis from Davis Foot & Ankle Centers. Our doctor will treat your foot and ankle needs. Flatfoot is a condition in which the arch of the foot is depressed and the sole of the foot is almost completely in contact with the ground. About 20-30% of the population generally has flat feet because their arches never formed during growth. Having flat feet makes it difficult to run or walk because of the stress placed on the ankles. Alignment – The general alignment of your legs can be disrupted, because the ankles move inward which can cause major discomfort. Knees – If you have complications with your knees, flat feet can be a contributor to arthritis in that area. If you are experiencing pain and stress on the foot you may weaken the posterior tibial tendon, which runs around the inside of the ankle.